Pecan Butter Cups | Whole Food. Real Food. Good Food. Growing up Reese’s Peanut Butter Cups were one of my favorites. My dad used to hide a bag of them in the freezer, but I always knew they were there and would sneak them when he was not paying attention (sorry Dad!). Knowing what I know now, the thought of a Reese’s cup does not not sit well with me. It is essentially a little cup of GMOs. So we set out to find a replacement for this favorite childhood treat. 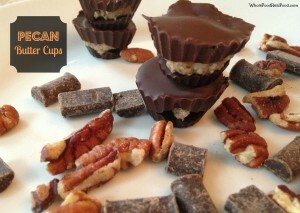 We found pecan butter at the store, which we had never tried so we picked some up and used it to make pecan butter cups. We melted Enjoy Life Chocolate chunks (chips will work too, I just didn’t have any at the time) a double boiler, coated the bottom of a candy mold with the chocolate, let it set, then added a tiny scoop of pecan butter and poured chocolate over the top. So easy to make, my kids did most of the work and had so much fun doing it. These cups are delicious and a great alternative to Reese’s Peanut Butter Cups which are filled with GMO sugar and other GMO ingredients. Remember, if a food product contains sugar, is not organic and does not specify cane sugar, it is likely genetically modified. Enjoy Life Chunks are certified GMO-free, gluten free, contain no wheat, dairy, peanuts, tree nuts, egg or soy. They are also made without casein, potato, sesame or sulfites and contain no trans fat or cholesterol. They are certified kosher, vegan – no preservatives, all natural. I replaced our Toll House chips with these chips without telling my kids and no one knew the difference. 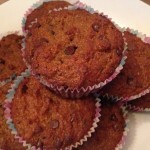 Almond butter would be another great nut butter to use with these cups. Almonds are considered alkaline while peanuts are categorized as acidic. An acid body is a magnet for sickness, disease, cancer and aging. Eating more alkaline foods helps shift your body’s pH and oxygenates your system. Alkaline foods keep your body healthy and functioning correctly, preventing and combating cancer. Further, a peanut is considered a legume, not a nut. Legumes contain phytates, which bind up minerals in food and prevent your body from utilizing them. This means they’re not digested and can cause inflammation, bloating, indigestion and gas. Almonds: One of the healthiest aspects of almonds appears to be their skins, as they are rich in antioxidants including phenols, flavonoids and phenolic acids, which are typically associated with vegetables and fruits. As the Almond Board of California reported, a study in the Journal of Agricultural and Food Chemistry even revealed that a one-ounce serving of almonds has a similar amount of total polyphenols as a cup of steamed broccoli or green tea. Walnuts: Walnuts are good sources of plant-based omega-3 fats, natural phytosterols and antioxidants that are so powerful at free-radical scavenging that researchers called them “remarkable.” Plus, walnuts may help reduce not only the risk of prostate cancer, but breast cancer as well. Pecans: Pecans contain more than 19 vitamins and minerals, and research has shown they may help lower LDL cholesterol and promote healthy arteries. 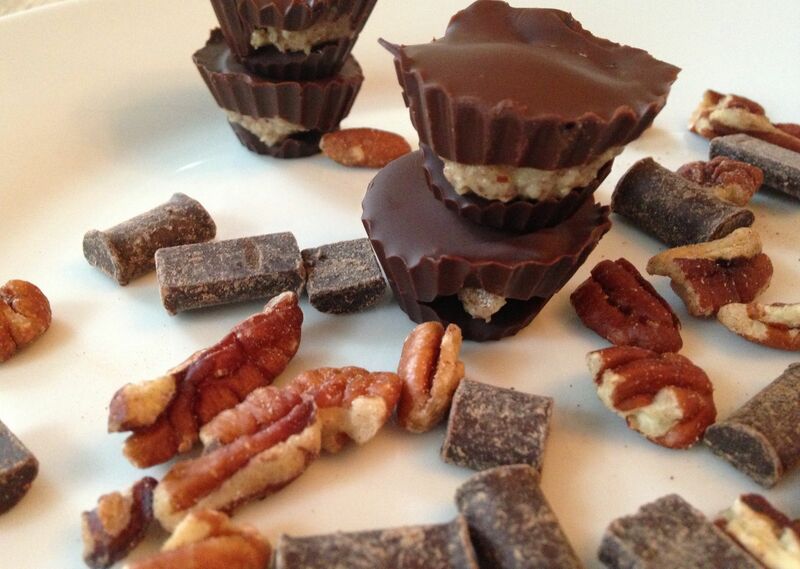 In the end, if you still want a peanut butter cup, you can use peanut butter with this recipe. Just make sure the only ingredient in your peanut butter is organic peanuts. That’s it. Nothing else needs to be added. Coat the bottom of a candy mold with the chocolate. Let the chocolate set. You can put it in the refrigerator to speed up the process. Add 1/2 tsp nut butter to each compartment. 1. Melt chocolate chips in a double boiler. 2. Coat the bottom of a candy mold with the chocolate. 3. Let the chocolate set. You can put it in the refrigerator to speed up the process. 4. 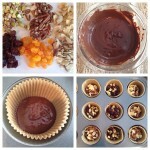 Add 1/2 tsp nut butter to each compartment. 5. 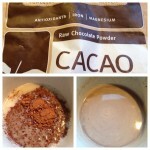 Pour chocolate over top. 6. Let the chocolate set. I really need to try making these soon–my husband really wants me to, just haven’t gotten around to it yet!